Have you bought fake followers for your Instagram? Regret it? Want to know how to get rid of fake followers fast, but have no idea how to do it??? We’ve discovered an efficient way for fashion bloggers and influencers to clear out fake followers (a.k.a. ‘bots and “ghost” followers) from their Instagram and Twitter accounts. 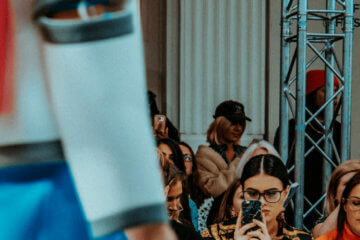 There are so many reasons why a fashion blogger or influencer would choose to buy fake followers for, say, their Instagram or Twitter accounts – not that it's okay. And while IFB would never recommend it, we think it’s important to understand the rationale behind it, before judging others. In 2012, buying a few thousand fake followers to help your fashion blog appear “credible” and “established” to potential (real) followers (and brands) wasn’t as taboo as it is today. Nobody was throwing around terms like “Instagram fraud” and “fakefluencer”, and this was well before #regulations were rolled out by the US Federal Trade Commission (FTC). Back then social media was very much the wild, wild west and many of us in the fashion blogging industry were doing whatever it took to stay ahead of the curve. Some of us were (wrongly) advised by others that buying followers was what we needed to do, if we wanted to land brand sponsorships and collaborations. Others were simply curious or trying to get their “foot in the door” of the influencer world. Now in 2018, we know that if you want to increase your following and rate of engagement on Instagram, a blogger or influencer needs to put in the time and effort themselves. There are not shortcuts. And with so many fashion bloggers opting to use Instagram as their main blogging platform, investing more resources in learning how to build a strong social media following is 100% worth it. Translation: Buying fake followers just isn't worth it (not that it ever was! ), even if many of us have done it in the past. Want to increase your rate of engagement on Instagram? And organically grow your following while you're at it? Check out IFB's Instagram Essentials: 10 Day Course For Fashion Bloggers! If you've bought fake followers in the past and want to get rid of them, we can help you out. We've got all the tips and tricks on how to get rid of fake followers on Instagram and Twitter below. Be sure to check them out below if your social media following could use a good “spring cleaning”, and let us know your thoughts in the comments. 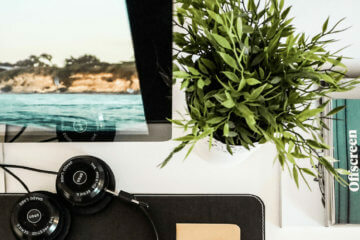 It may seem enticing to simply buy a few thousand followers rather than letting it organically grow over time, but the reality is it may hurt your social media accounts – and your credibility – in the long run. Buying fake followers doesn't increase your rate of engagement. Want to know why??? Because when you buy fake followers, you're buying ‘bots. Which means there is no real person behind the account, to interact with your content. Therefore, while the number next to your name will drastically increase in a short period of time your comments, likes and replies won't go up along with it. You aren't building a community and creating a dialogue, you're simply fudging a number. Purchasing a load of fake followers will only make you look like you have a huge following with a low rate of engagement. And in 2018, most brands and marketers are concerned with engagement and interaction vs. the number of followers a blogger or influencer boasts. Fake followers seem like a sure way to secure loads of spam, for both yourself and your real followers. Nowadays PR reps and marketers have access to tools that can easily reveal the true amount of influence a blogger or influencer yields. Avoid yourself some serious embarrassment and don't bother approaching any brands unless you're certain your following is 100% authentic. Most likely, the will be able to tell if you bought your followers. 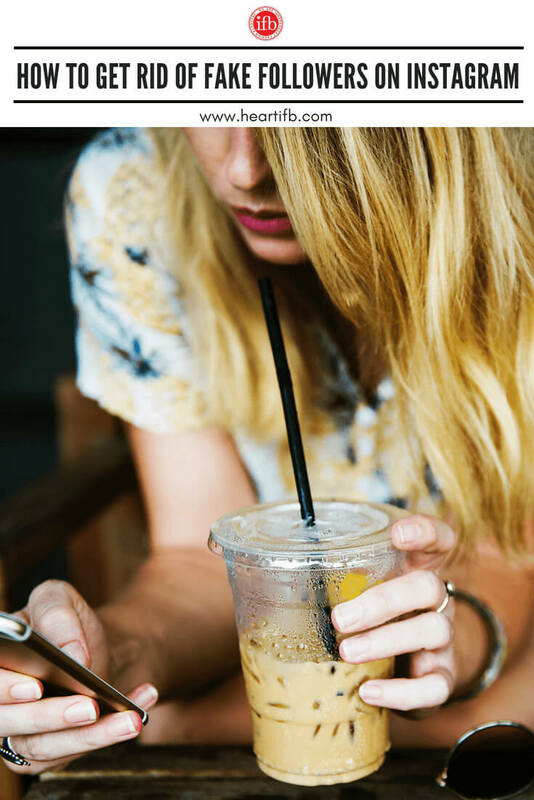 The influencer marketing world can be pretty small, and word travels fast when it's been revealed that a blogger's following is inauthentic. Some brands have even been known to blacklist influencers that have claimed to be more influential than they actually are. The bottom line is buying fake followers is dishonest and not worth the professional risk. The good news is there are tons of apps out there that can help an Instagram user “clean out” their fake followers. Cleaner for IG is the best app for removing unwanted followers (real or fake) from your Instagram account. It’s free to download, and is available on all app stores for both Android and iOS. 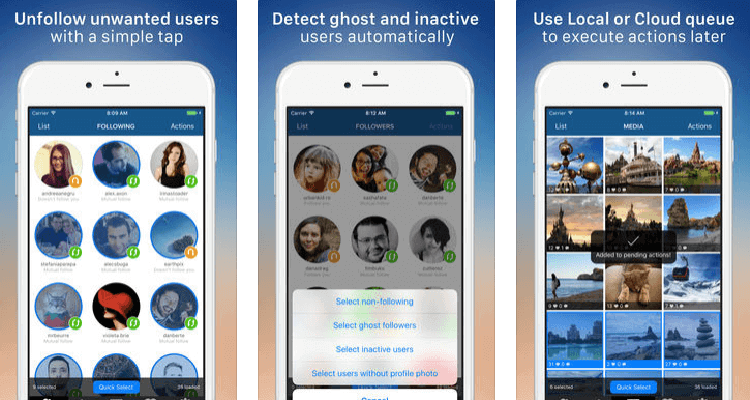 The app allows users to mass block ghost followers – the only way to remove fake followers from your profile. That’s right, Cleaner for IG will figure out which followers are fake and will give you the option to remove them. In addition to this feature, Cleaner for IG also allows users to mass unfollow and unblock other accounts, mass unlike posts and keeps track of all your actions in an activity log. So, if you're signed up to a platform like Fohr (and want to keep a strong follower health score), Cleaner for IG will become your best friend. It allows your to efficiently remove “lurker” accounts from following you Instagram, something which could help improve your rate of engagement. Overall, Cleaner for IG is a very useful app for any blogger or influencer that wants to “clean out” their Instagram following, and we highly recommend it. When it comes to removing fake, ghost, or ‘bot followers from Twitter, the process isn’t straightforward. Unlike Cleaner for IG, there are no third party app that act as a one-stop-shop for deleting fake followers. If you’re serious about cleaning out your Twitter account, you’ll need to use two or three together in order to achieve the best results. First, you need to take a hard look at your followers and figure out who is fake. We recommend using a combination of Fakers from Status People, Twitter Audit, and Bot or Not to analyze your following. All three tools are free to access and give some solid insight into your audience. Once you’ve determine which accounts are fake, block these “followers” from your account. Doing this will force the fake accounts to unfollow your Twitter account. It may take some time, as you will need to individually block each fake follower. The good news is Twitter does not cap the amount of users you can block in a day. What if you’ve purchase thousands of fake Twitter followers, and don’t have the time to individually delete and block them all? You really have limited options. The best thing to do, if you want to be honest going forward, is to delete your Twitter account and start over from scratch. Annoying? Yep. But it's always better to be honest, than get caught down the line for buying fake followers. If you have purchased fake followers in the past and don't have a chance to remove them from your social media accounts, the best thing to do is be honest about it. If a brand or marketer approaches you with a collaboration or paid sponsorship, disclose it before signing on to the campaign. Tell a brand upfront that you've purchase, say, a few hundred fake followers years ago when everyone was doing it, and it may not affect your relationship. Nowadays, most brands are looking to tap into more than just a high follower count, so having the odd few “ghost” followers might not be a deal breaker. The most important thing is to always be honest about your following, and to always work on growing an authentic audience on all social media platforms. Have you bought fake followers in the past? Has it affected you? Let us know in the comments below. *Please note that some of these apps maybe considered third-party apps by Instagram (which is technically against Instagram’s Terms of Service), but they can be very useful in unfollowing and blocking a large amount of accounts in a short period of time. Use them at your discretion. The biggest problem I used to face in maintaining my Twitter account was my irregularity in tweets. I started searching for an automation tool, and then I discovered WizUgo. Wizugo is the right tool for those who are unable to give time to their Twitter account. All it needs is a five-minute setup, and you are free to go, Wizugo will take care of the rest.